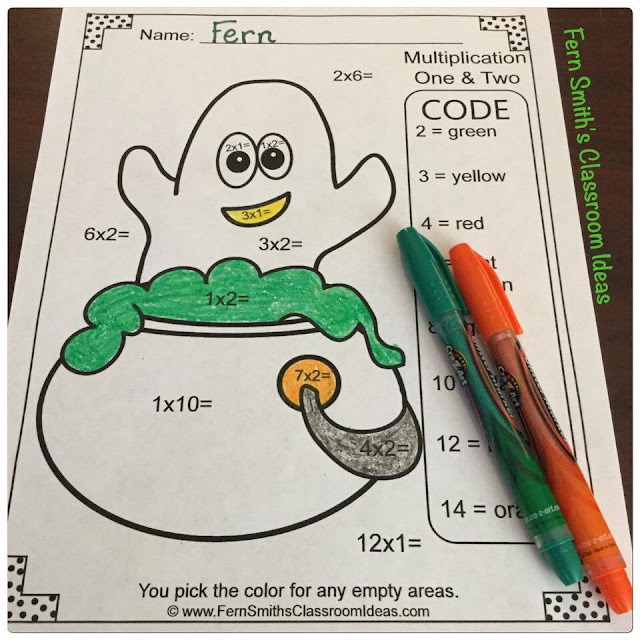 Color By Numbers Halloween Fun Multiplication and Division Bundle - Fern Smith's Classroom Ideas! 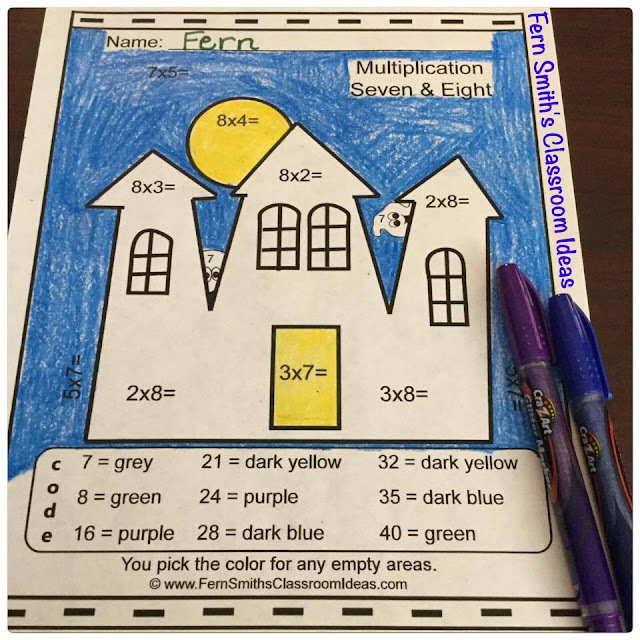 This time of year things get so overwhelming, the children are excited, report cards are due, parties or fun days to plan, conferences to schedule.... these print and go worksheets can add some joy and fun to your class while letting your students work on their multiplication and division skills. Allowing you a few minutes to clear off your desk or make a phone call or two! This resource has ten pages total, five for multiplication and five for subtraction. 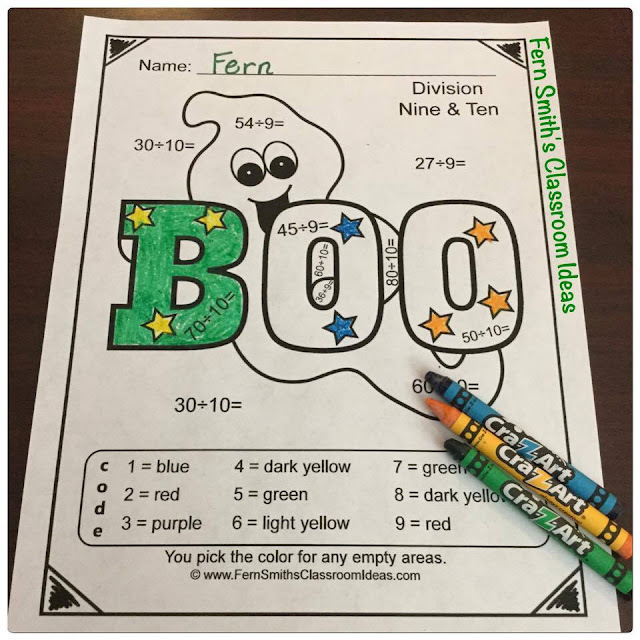 All of the pages allow for the student to pick the skin and hair color of the children, as well as spaces for some "free choice" where they can pick any coloring, making it easy to grade, but still different from the rest of the class. They are great for a bulletin board or a substitute day because answer keys are included too! This bundle can also be purchased as individual resources too. Color By Numbers Halloween Costumed Kids Division! 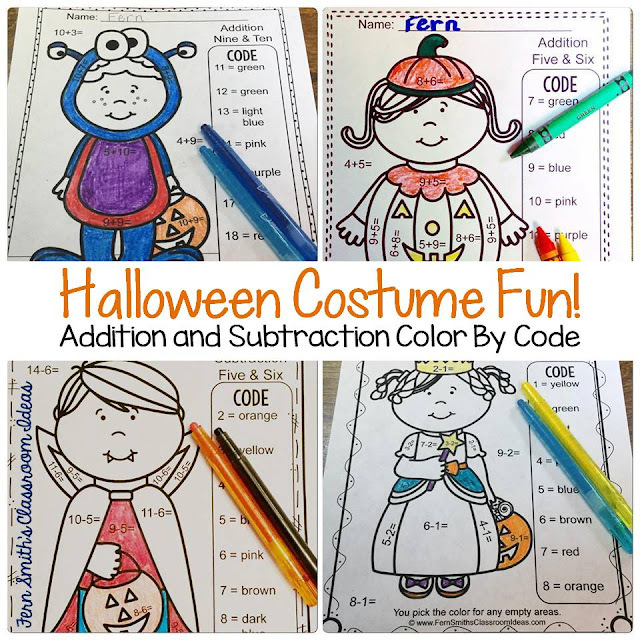 Color By Numbers Halloween Costumed Kids Multiplication! 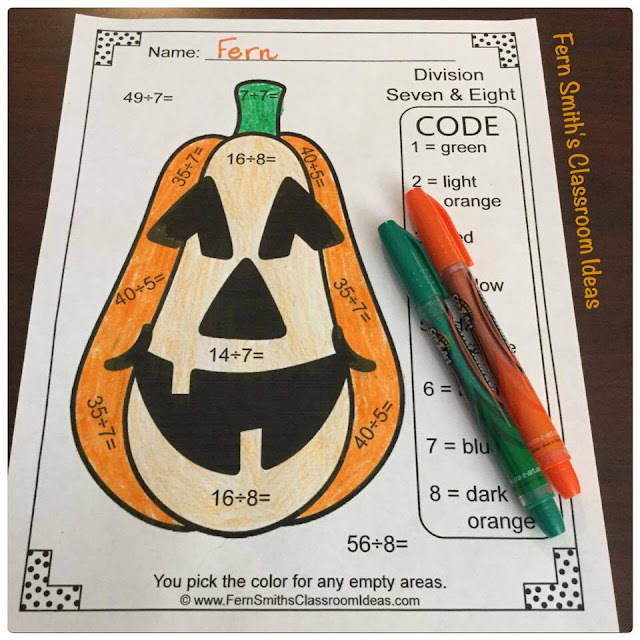 I also have Color By Numbers Halloween for Addition and Subtraction.